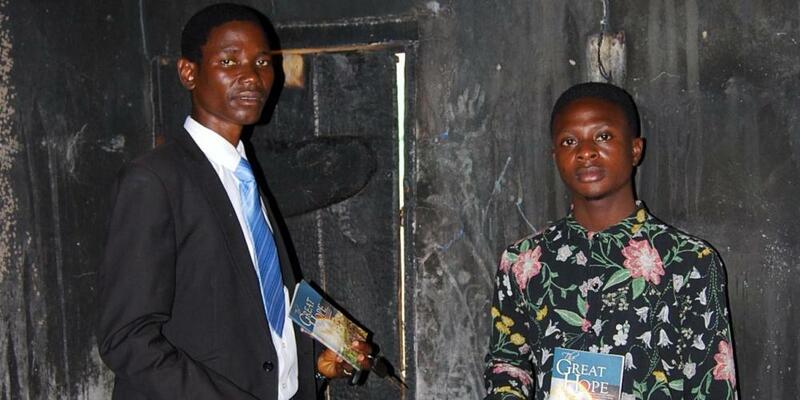 Shocked owner reads the book and runs to an Adventist church to tell his story. 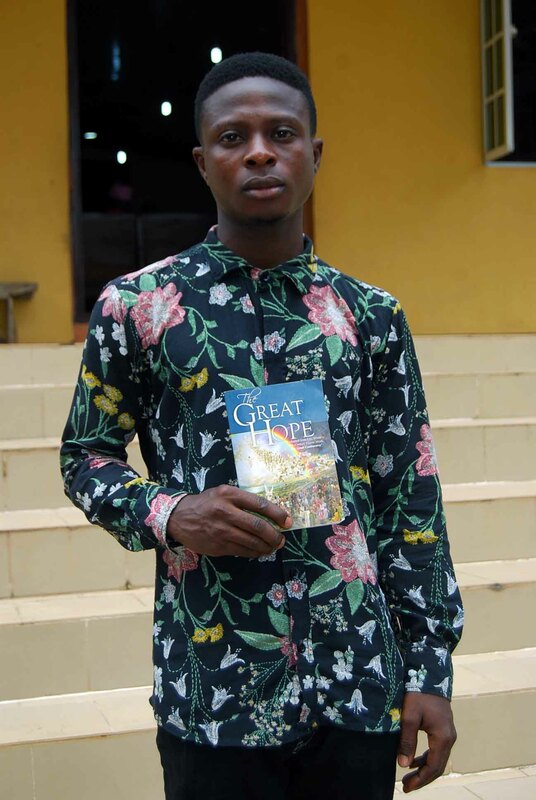 The student, Olajide Oluwatobi Igbinyemi, immediately read the book and rushed to the local Seventh-day Adventist church, whose members had given him the book on a literature evangelism Sabbath. 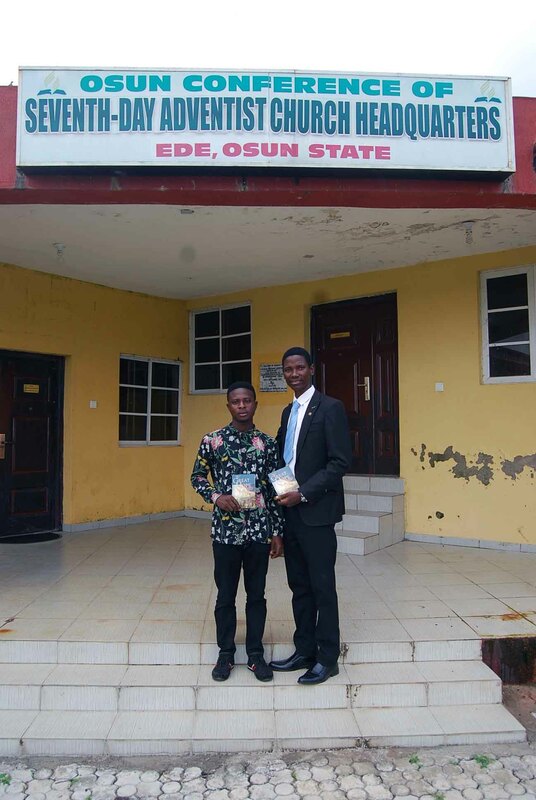 A church member presented the book to Igbinyemi, 30, in Ede, a city located about 135 miles (220 kilometers) northeast of Nigeria’s capital, Lagos. Church members — working in cooperation with a world church Mission to the Cities goal to distribute 1 billion pieces of literature in cities around the globe — hand out thousands of copies of “The Great Hope” across Nigeria’s state of Osun every quarter on “Great Hope Day,” a special Sabbath set aside for sharing the book, said Joseph Adebomi, president of the Adventist Church’s Osun Conference. 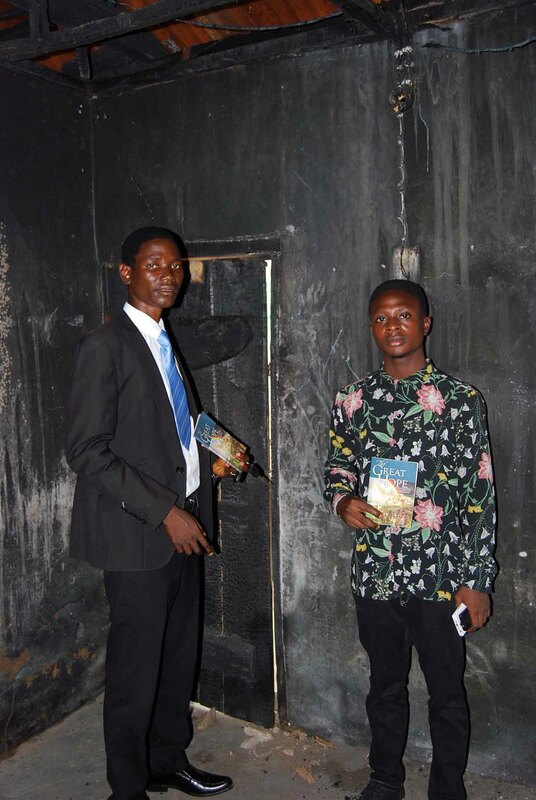 “He collected the book and was reading it,” said Adebomi, who has interviewed the student. 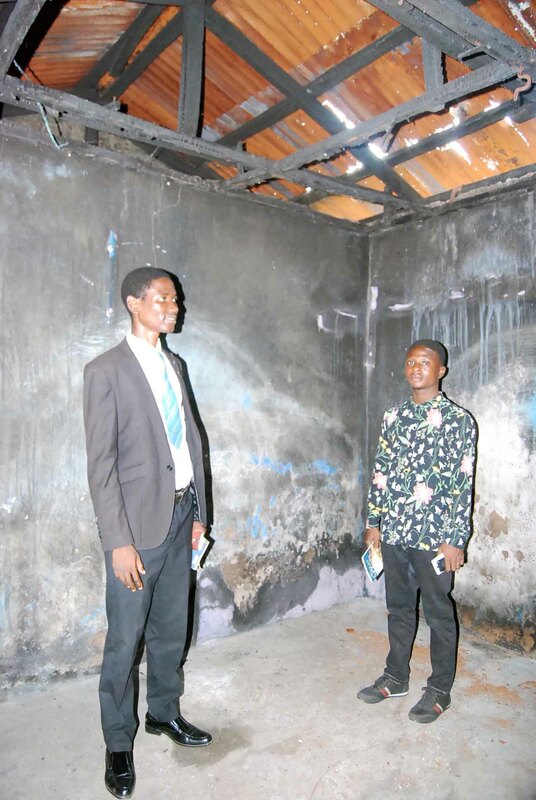 But then Igbinyemi, a student at a Nigerian institution of higher education called Federal Polytechnic, Ede, went for a trip in September 2018, leaving the book in his rented one-room apartment. When he returned, he found that a fire had gutted the house. His school books, furniture, and mattress were destroyed. “Even iron melted,” Adebomi said. That day, he eagerly finished reading the book, which uses history and prophecy to make sense of the chaos unfolding in today’s world.Then he ran to the Adventist church to share his testimony. Igbinyemi knelt before the congregation and praised God. He is now taking Bible studies in preparation for baptism. The story is touching hearts and increasing people’s faith in Nigeria’s state of Osun. — Pastor Ike Adewale contributed to this report. Gym Plants a Church, TV Helps It Grow This is your Thirteenth Sabbath Offering at work. Feeling God’s Hands A group of Adventists in Laos care deeply for sick people around them. Find out how your mission offerings can help fill a need in their community!